It wouldn’t be Christmas without everyone’s festive favourite, Yorkshire Wensleydale & Cranberries cheese, which has been gracing the nation’s cheeseboards for over 20 years. Yorkshire Wensleydale & Cranberries cheese was an original creation from The Wensleydale Creamery in 1996. 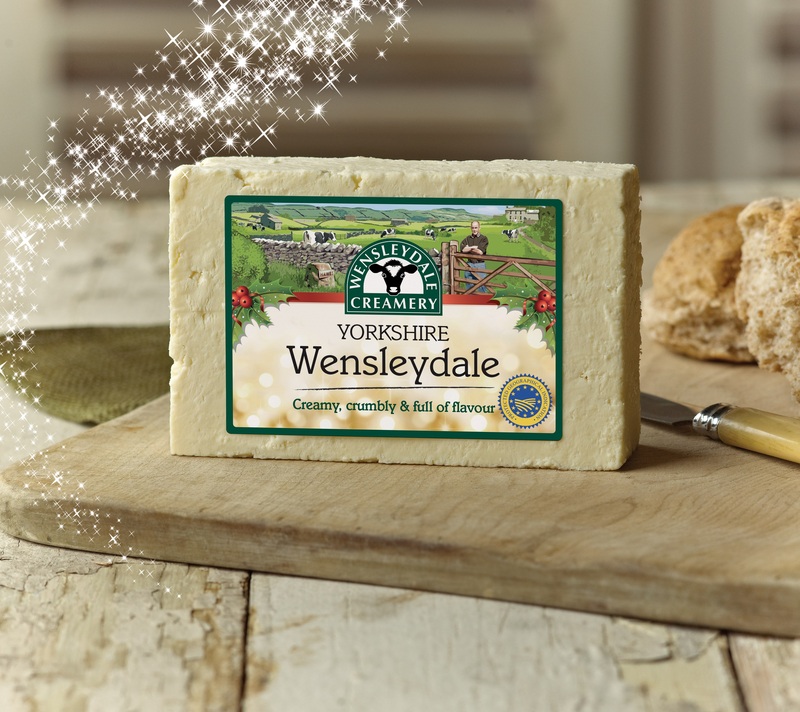 It’s made using Yorkshire Wensleydale cheese which has European Protected Food name status, being the only Wensleydale cheese that is handcrafted in Wensleydale in the heart of the Yorkshire Dales National Park, using milk from local farms. Due to its success, it has since been copied by many other cheese-makers across the UK. Undoubtedly a firm favourite all year round, the cheese is especially enjoyed during the Christmas period. In celebration, The Wensleydale Creamery has launched new Christmas packaging for their Yorkshire Wensleydale & Cranberries packs, which will be hitting supermarket shelves this week. The Creamery’s Yorkshire Wensleydale cheese packaging has been given a festive touch too. The delicate, fruity succulence of pure, sweet cranberries, combined with creamy, crumbly Yorkshire Wensleydale cheese, is a perfect complement of flavours, with superb visual appeal. It’s perfect for the festive cheeseboard and for sharing with the whole family this Christmas. 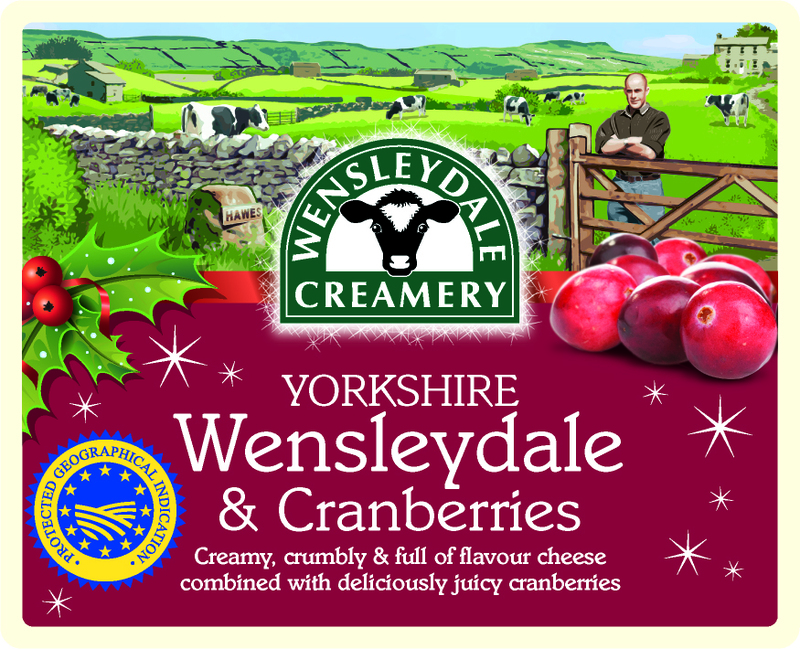 Be sure to look out for ‘Yorkshire Wensleydale & Cranberries’ to ensure it is from The Wensleydale Creamery!